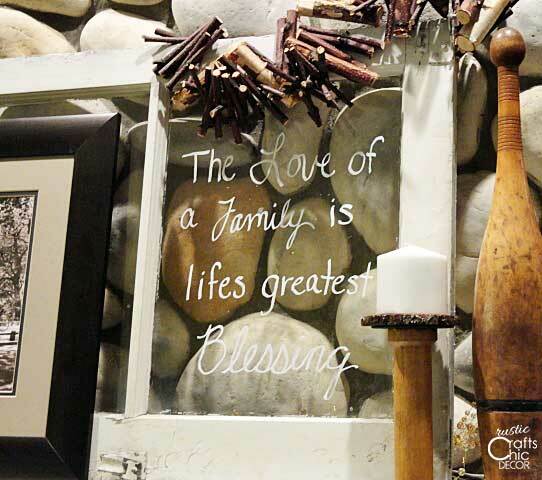 Get creative with these popular DIY projects for the home. 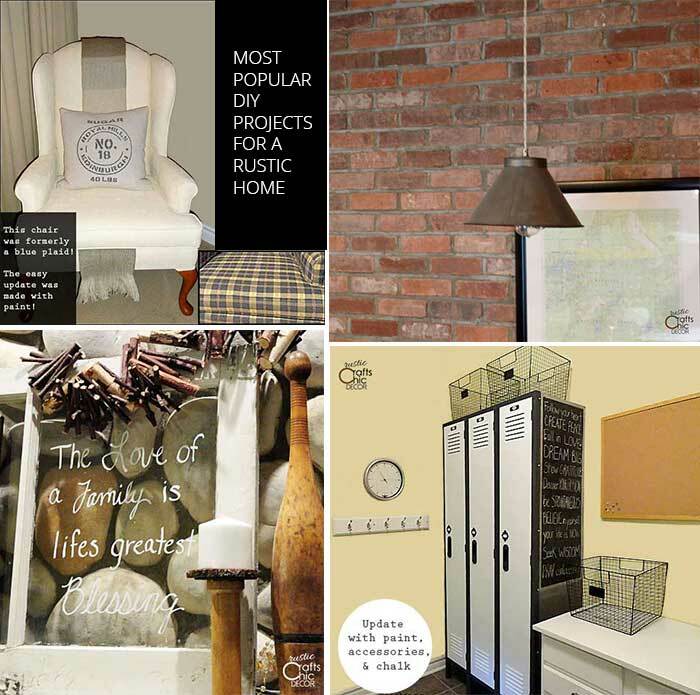 Find everything from simple repurposing ideas to more involved customization. There is something for everyone! Because reupholstering furniture can be a little pricey, I found a way to update on a budget. 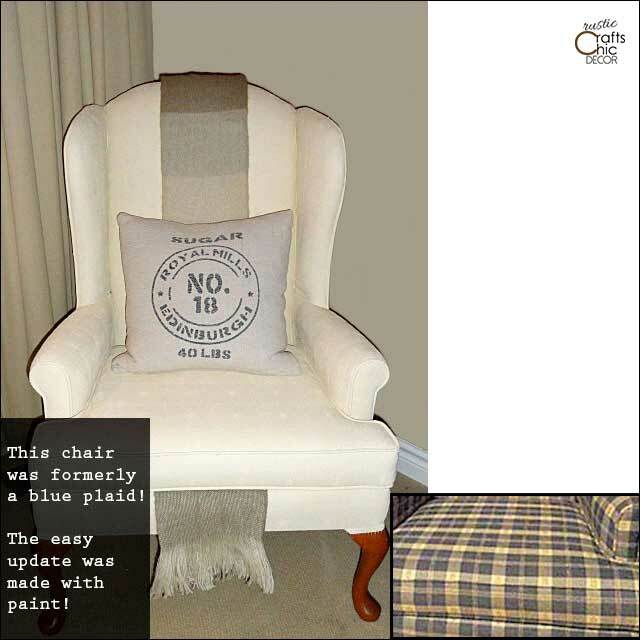 Painting upholstery is a fantastic way to get a new look. I know that when I discovered you could paint upholstery I was taken aback. It really is a nice way to change a look for little cost. Another way to save money is to create your own lighting. 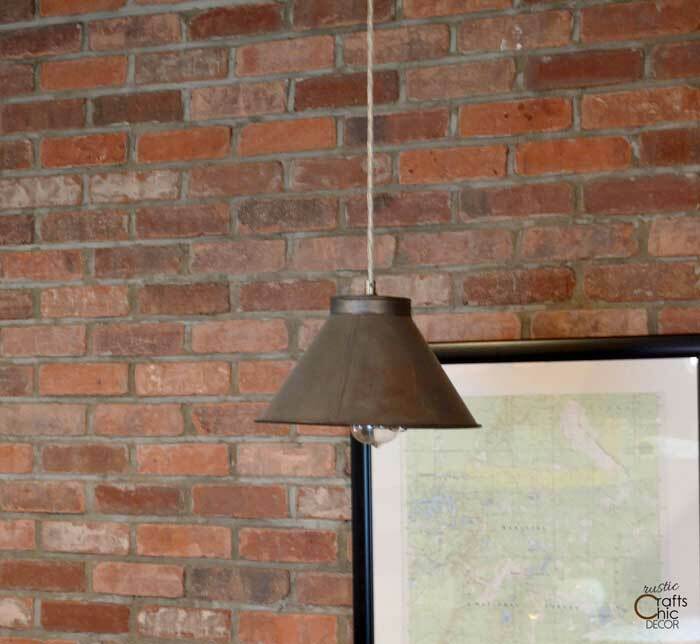 This one was a bit unusual as we used a vintage kitchen sifter to create a hanging light in our cabin kitchen. 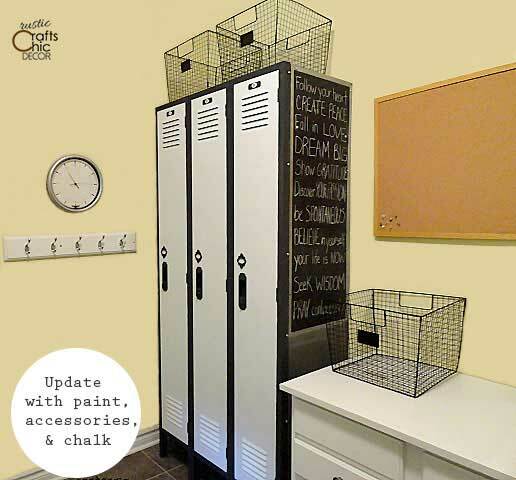 Old and grimy shop lockers were made over into chic mud room lockers for the kids. It’s amazing what you can do with a little paint and some accessories. 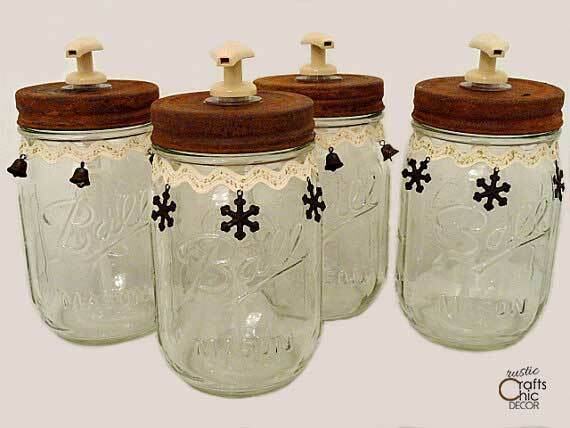 Mason jar crafts are always popular and these soap dispensers make a nice decorative alternative to purchasing expensive dispensers. Because they are quick and easy to make, these are a great gift item for a group of people. See how to string branches together for a rustic garland to adorn windows, picture frames or mantels. 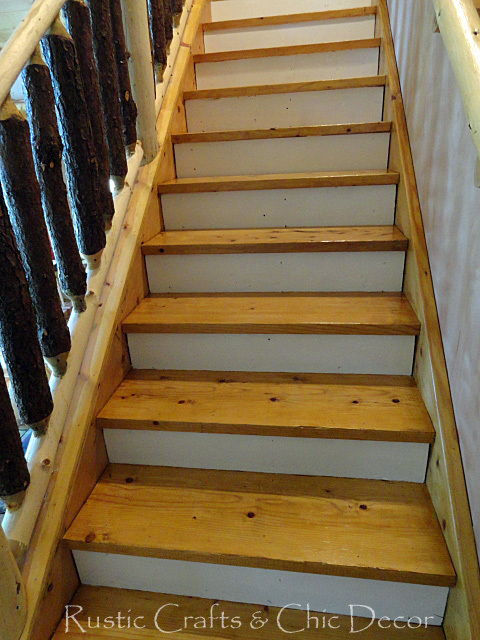 See how to get a smooth finish on the roughest of stairs. 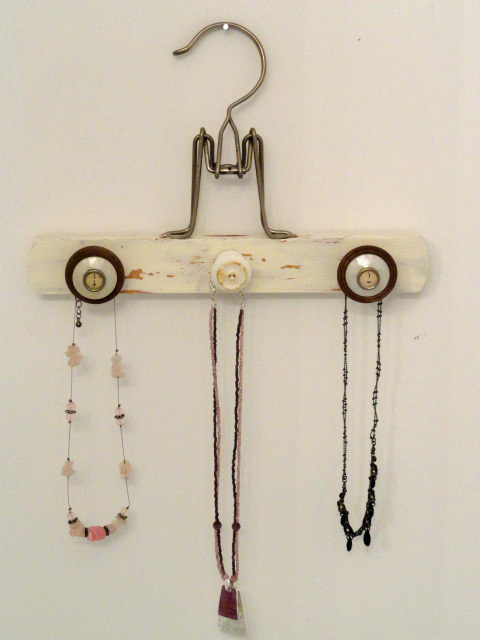 A vintage pants hanger gets transformed into a fun jewelry hanger with the use of some decorative knobs and other embellishments. 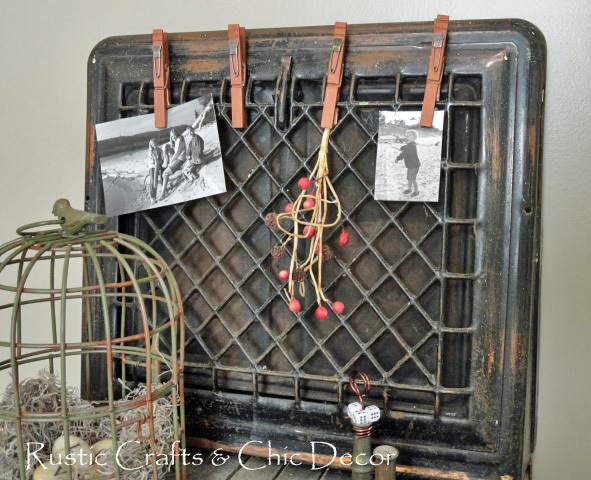 What do you do with an old heat register? 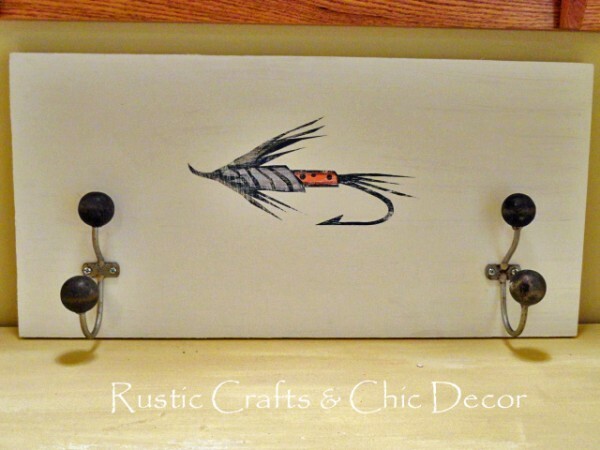 You turn it into a usable and funky clipboard. I simply created some fun clips to coordinate with the register and began clipping away! Here is a handy technique for applying a favorite image to wood without painting!